Celebrating Irish culture and heritage, Saint Patrick's Day is observed every year on March 17 in commemoration of Saint Patrick (c. AD 385–461), patron saint of Ireland. Before donning our green shirts and running to the nearest Irish pub for a pint of Guinness, we wanted to have a closer look at how Ireland is performing in terms of scientific research and output. As shown in the above chart, the color of the three-leaved shamrock also has its share in contemporary Irish research: 14.2% of all publications lie within the green subject areas (biochemistry, genetics, molecular biology, agricultural and biological sciences). 1. 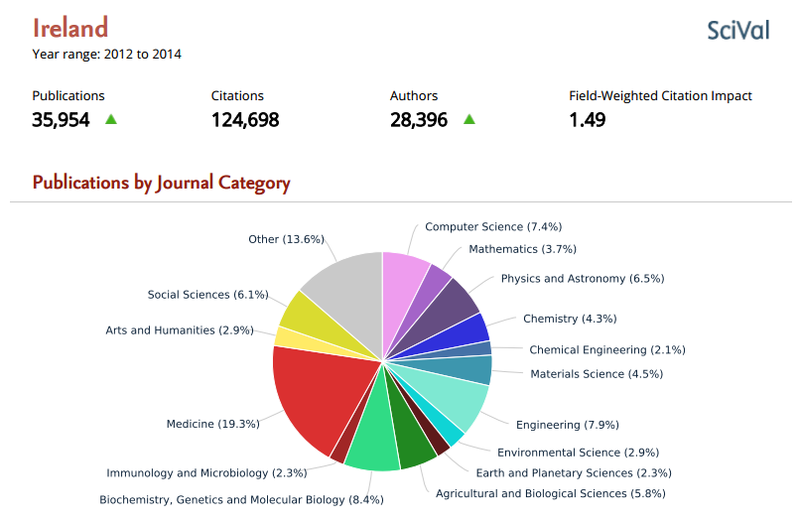 The top 3 institutions in terms of number of publications and total citations are: University College Dublin, Trinity College Dublin, University College Cork. 3. 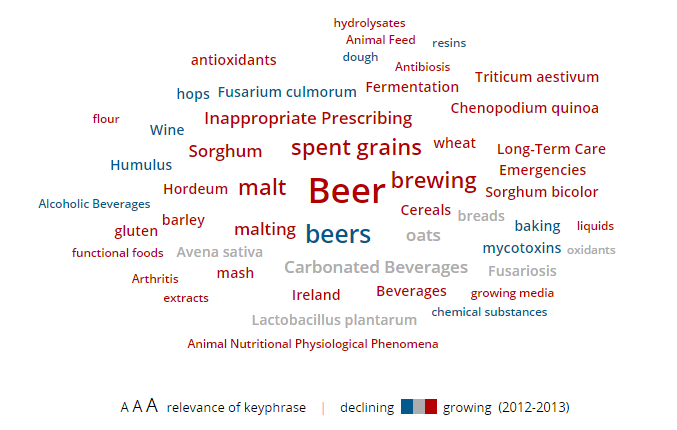 According to SciVal’s new Trends module, Irish researchers don't only like drinking beer, they are increasingly writing about it too. Cheers!